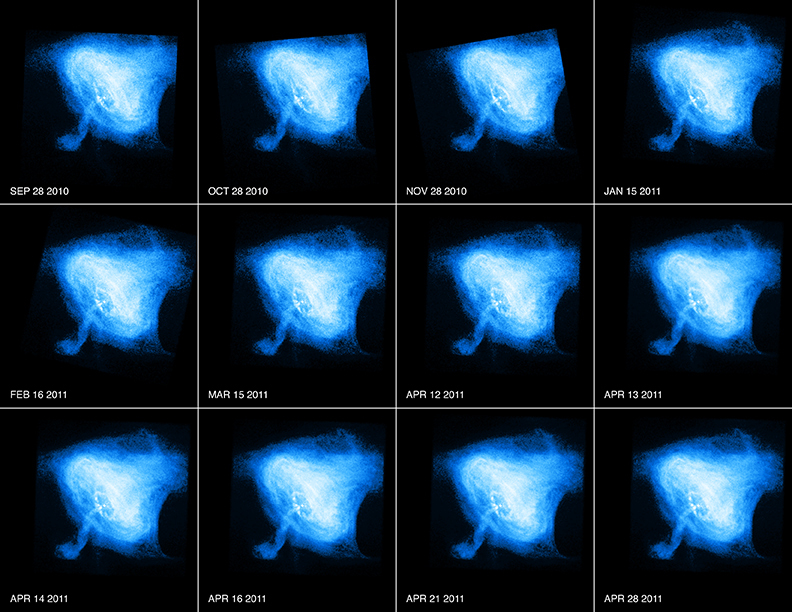 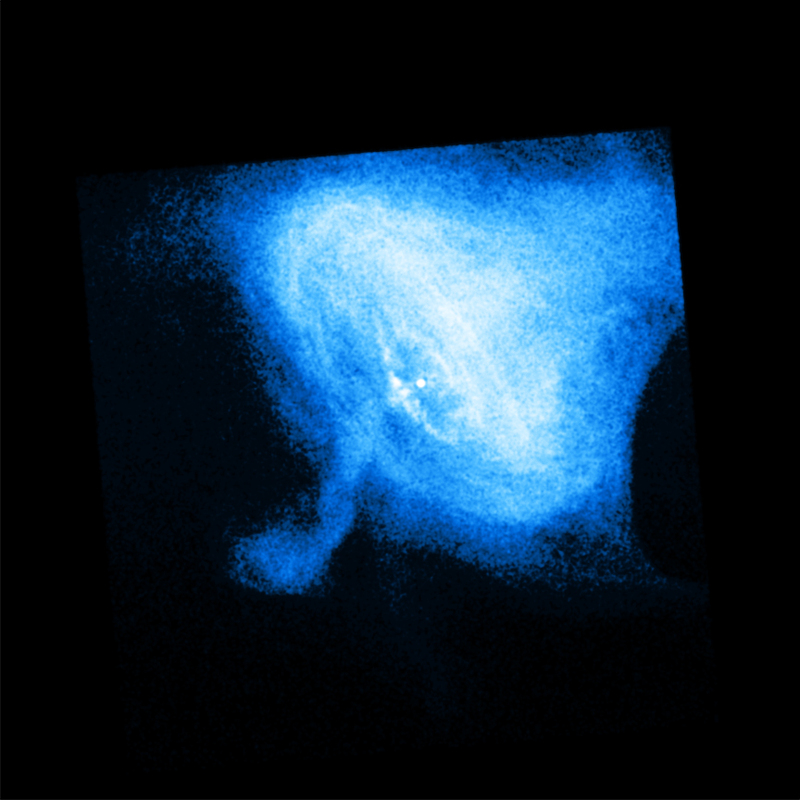 These images are from a sequence of Chandra observations of the Crab Nebula taken from September 2010 through April 2011. 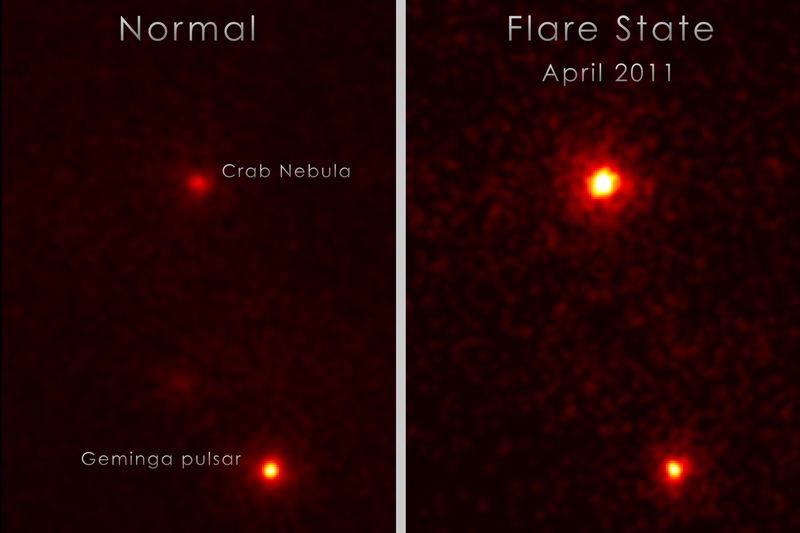 These images are from a sequence of Chandra observations of the Crab Nebula taken from September 2010 through April 2011. 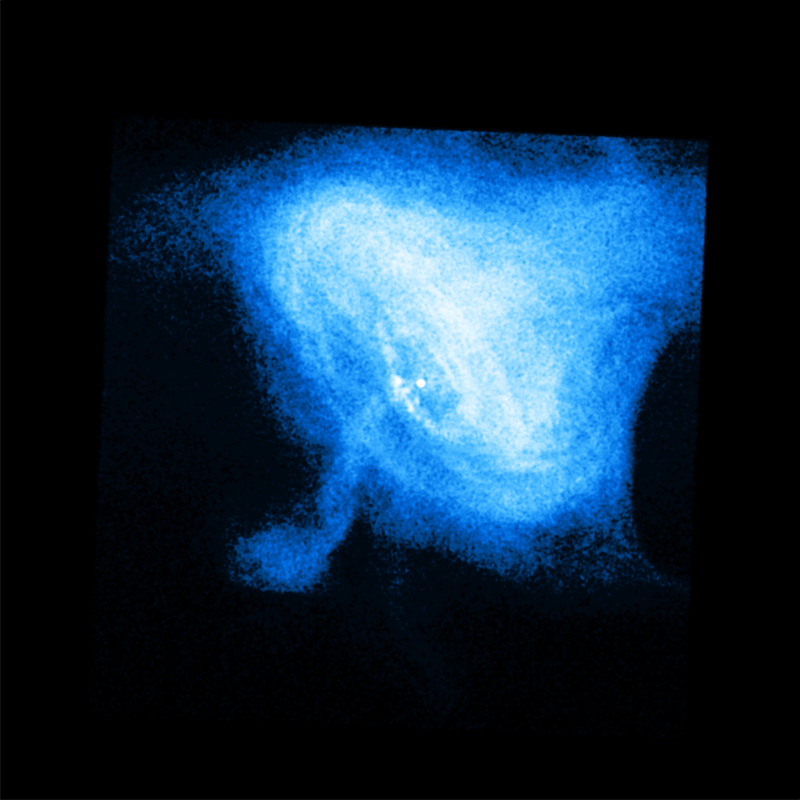 During this period, dramatic variations are seen in the Crab, including the expansion of a ring of X-ray emission around the pulsar (white dot near the center) and changes in the knots within this ring. These variations, however, did not correlate with strong gamma-ray flares seen by the Fermi Gamma Ray Observatory and Italy's AGILE satellite during that period.